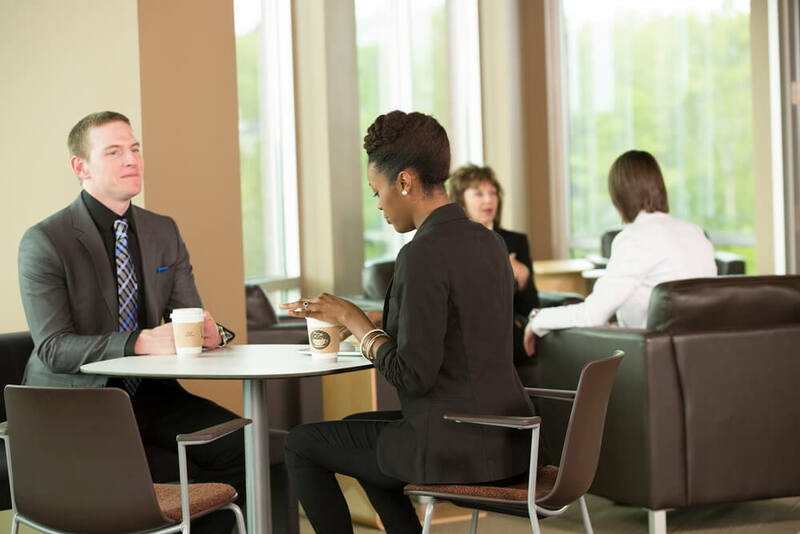 Do the office cleaning services provided by your commercial cleaning service provider ensure that areas where your employees enjoy their meals are free of harmful bacteria? Proper cafeteria and breakroom care requires a much deeper level of attention by your commercial cleaner to keep the area safe. While the cleaning phase involves the use of soap or detergent and water, sanitizing and disinfecting requires the use of chemicals registered with the EPA or disinfecting/sanitizing water-based devices. Sanitizing destroys 99% of bacteria within 30 seconds, while disinfecting destroys all living organisms within 10 minutes. All of these aspects should be included in a commercial cleaning services list for your cafeteria, breakroom, or kitchen if you have one on-site where food is cooked for employees. 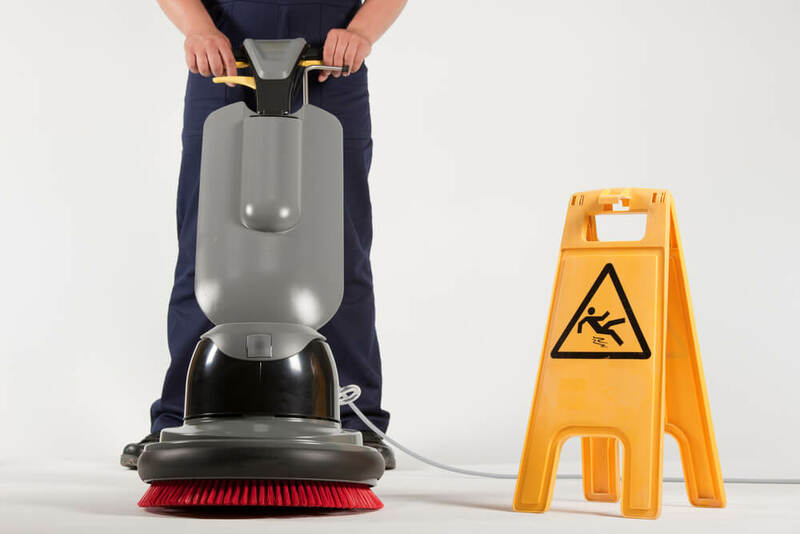 The floors and eating areas are subject to dirty feet and food and drink droppings and spills that need to be removed through regular sweeping or vacuuming and mopping by a commercial floor cleaning company. Tables, chairs, counters, and other surfaces in the eating area are subject to a germ build up that can result to increased bacteria and virus count that can contribute to the development of foodborne illnesses such as E. coli or Salmonella. Promoting the use of disinfectant wipes among employees can reduce some risk of germs, but the commercial cleaning service should regularly disinfect all surfaces. The microwave, refrigerator, oven, and other appliances can trap odors, mold, and germs if not cleaned and sanitized, preferably on a weekly basis. While your company might want to emphasize to employees to clean up the microwave or refrigerator if they have caused a spill, the cleaning service can attend to more thorough sanitizing and disinfecting. Having plenty of stable trashcans located throughout and near the breakroom makes it convenient for employees to properly dispose of garbage. Trashcans should be emptied every night as old food can attract pest and cause odor and bacteria. The cans themselves should be occasionally disinfected, as food drippings may accumulate inside and outside the can. If your eating area is infected with disease carrying mice or insects, you need to call an exterminator to trap or bait them to remove the immediate infestation and institute a long-term prevention program. A comprehensive commercial cleaning services list for breakroom cleaning keeps the area clean, sanitized, and disinfected. 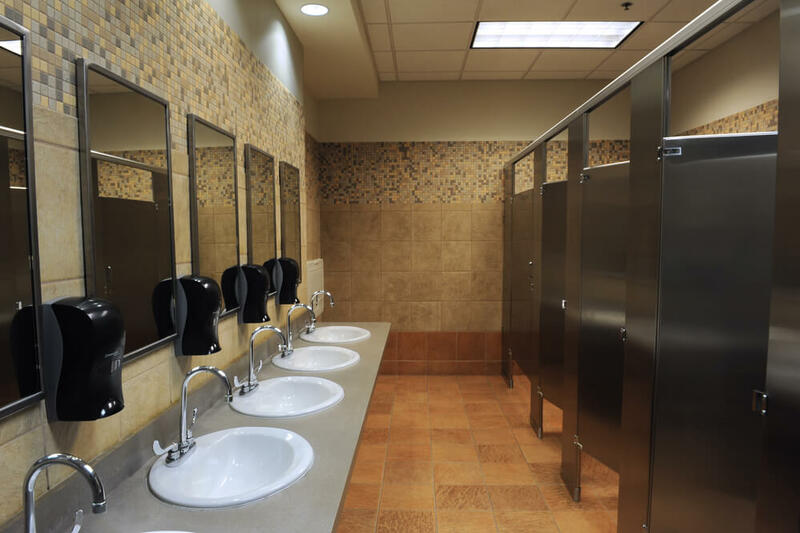 If you are currently looking for a company that provides janitorial services in Utah, BearCom Building Services is the perfect choice. Contact Bearcom, an experienced commercial cleaning company unlike other Salt Lake City janitorial companies, for a free onsite consultation for office cleaning services and all other commercial janitorial services.